Richard P. Kissinger – Kissinger & Fellman, P.C. Richard (“Rick”) Kissinger is President and founder of the law firm of Kissinger & Fellman, P.C. in Denver, Colorado. 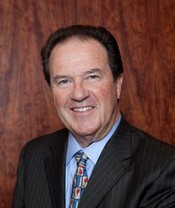 While he specializes in transportation law, his practice includes service as General Counsel to many businesses, transactional law, highway accident litigation defense, business mergers and acquisition, real estate transactions, commercial litigation, administrative/governmental law, arbitration and mediation, and informal debt “work-out” transactions. Mr. Kissinger received his Bachelor of Arts degree in 1965 from Texas Tech University and his law degree (Juris Doctor) from the University of Texas School of Law in 1968. Following two years of private practice, he served as Vice President and General Counsel to a nationwide trucking company located in Denver, Colorado. He founded Kissinger & Fellman, P.C. in 1976, where he remains in active practice today. He is also an arbitrator and mediator providing services through the American Arbitration Association (AAA) and the Transportation Lawyers Association (TLA). Mr. Kissinger currently serves as General Counsel and a Director of the Colorado Motor Carriers Association (CMCA). He is a past President of the Transportation Lawyers Association (TLA), a past National Vice President of the Association of Transportation Practitioners, a past National Chairman of American Trucking Associations Oilfield Haulers Conference, past President of Cherry Hills Country Club, and a former adjunct professor at the University of Denver College of Law. Additionally, he has served as an officer and/or director of many businesses and community organizations and has been distinguished by recognition of his service through numerous awards and citations, including the TLA’s distinquished service and lifetime achievement awards and CMCA’s Distinguished Service Award. Rick can be contacted at 303-320-6100; facsimile: 303-327-8601; e-mail: rick@kandf.com.